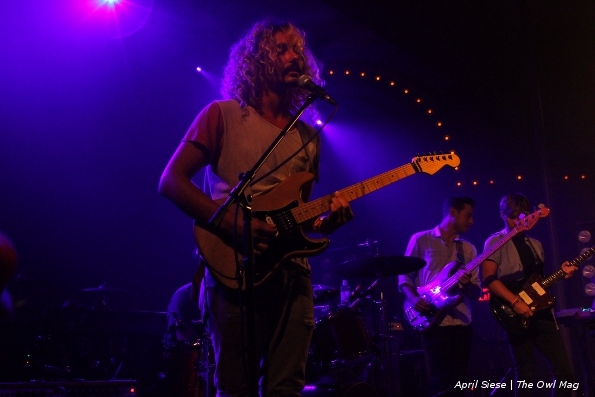 Night 1 of MFNW came early as the festival expanded to Wednesdays. 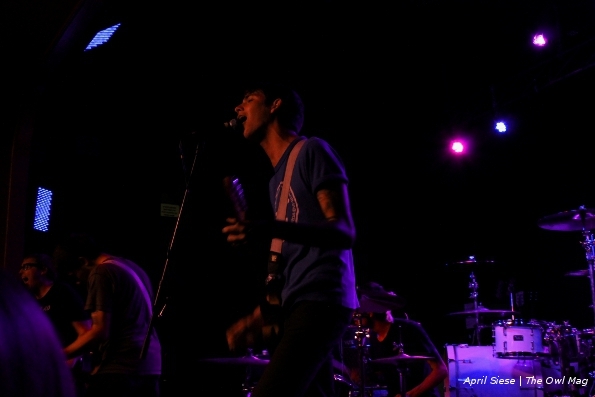 Hump day at the Hawthorne Theater meant lots of punk rock with tourmates Joyce Manor, Andrew Jackson Jihad, and Against Me! joining forces for a continuous thrashing of mosh pit hijinks and unparalleled energy. Newbies Joyce Manor kicked off the evening with tracks from their debut Of All Things I Will Soon Grow Tired. In addition to a wicked line stretching around the building and spanning almost a block, the opener saw a crowd of at least half capacity, marking a major change in the festival’s popularity. Halfway through their set, it seemed everyone had gotten their drinks and finally gotten into Joyce Manor’s material. 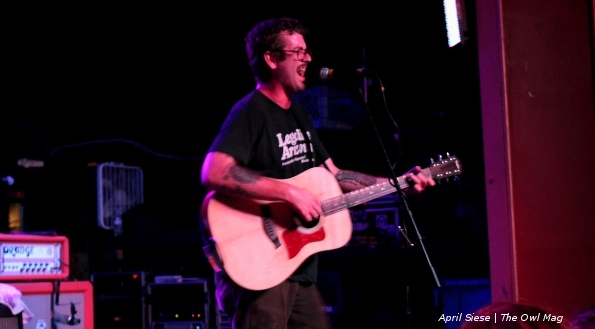 Soon after, Andrew Jackson Jihad strummed the initial chords for “The Michael Jordan of Drunk Driving,” and the crowd went nuts. Diehard fans came from as far as San Diego, which bassist Sean Bonnette pointed out mid-set, taking a request from the woman next to me who went wild with glee. Andrew Jackson Jihad marked the only acoustic set with Bonnette on upright bass and frontman Ben Gallaty strumming away on his guitar, singing the sardonic lyrics Andrew Jackson Jihad is known for. It seems just about every MFNW Portland experiences a heatwave; one that’s never enough to get venues AC, however. The band and its fans were sweltering by the next set change. Despite an already sweaty, mental crowd for Andrew Jackson Jihad, the sheer energy exacted for Against Me!‘s manager just taping down set lists seemed to rival all that came before. 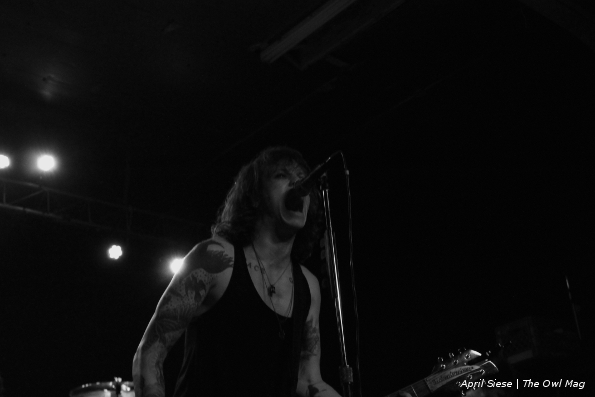 Against Me! were strong and soon got this Owl squished into one of the most brutal pits she’s ever experienced. Throughout the set there were stage dives: well over twenty, with one fan even kissing frontwoman Laura Jane Grace on the cheek before vaulting into a sea of awaiting hands. Mega-hits “New Wave” and “Thrash Unreal” were expertly played, along with hits old and new. After the show, all three bands were seen milling about, greeting fans, and trying to recover from the sweltering venue. In stark contrast to the heat stands the Roseland Theater, whose AC was cranked and regulations were strict: it’s the only venue this Owl’s ever been to with metal detectors and no mosh pit policies. 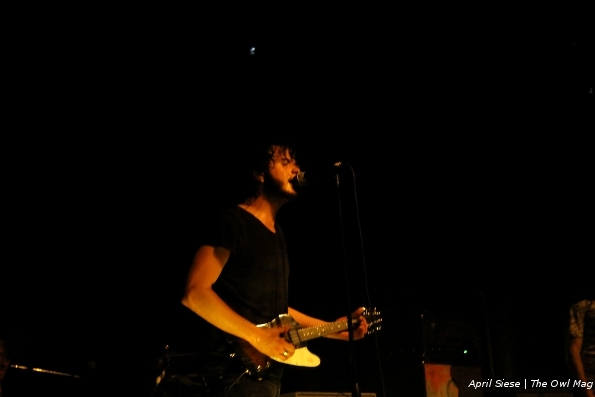 Roseland was rockin’ for opener Reignwolf, a roots guitar player from nearby Seattle. Though the guitarist usually stands alone, he had a complete band of guitarist, bassist, and drummer to round out his signature gritty vocals and nimble guitar work. 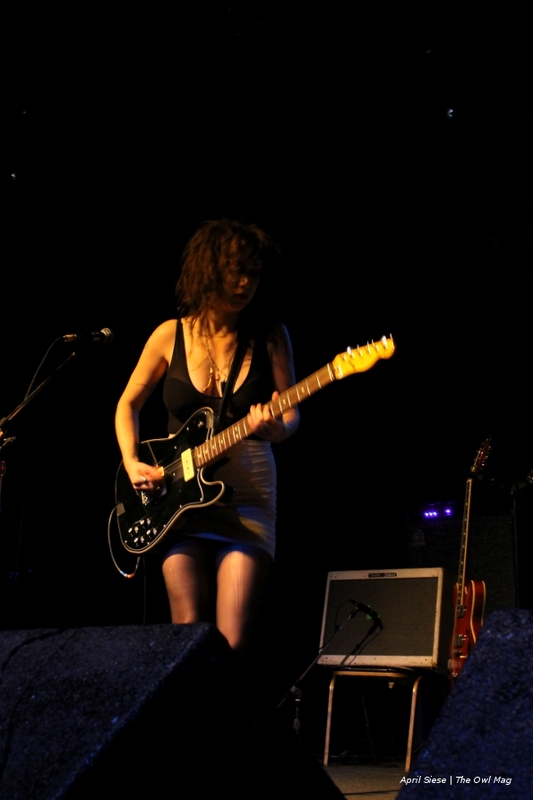 Up next were Those Darlins, a (mostly) girl group led by frontwomen Jessi and Nikki Darlin. The Nashville outfit played a strew of crowdpleasers from their most recent album Screws Get Loose with Jessi and Nikki splitting vocal duties. Their singing was sultry with an edge, reminiscent of legendary supergroup The Runaways. The audience was into it, though not nearly as crammed as the Crystal Ballroom, where this Owl caught Fort Lean and Passion Pit. 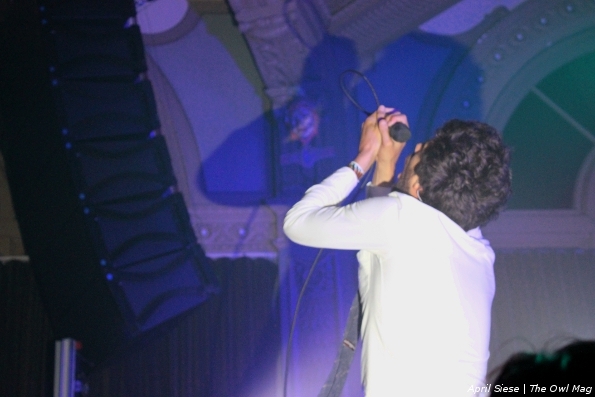 We headed to the Crystal Ballroom for what we thought would be a show with The Hundred in the Hands. Without any explanation from either venue or MFNW, the group had been replaced by fellow Brooklynites Fort Lean. Though still talented musicians, it came as a strange surprise to see a Chad Kroeger-esque figure fronting an indie rock group. The Nickelback comparisons stop there, however, as Fort Lean was pretty damn captivating; more post-rock meets indie than anything else. After a somewhat lengthy set change, the bouncy ballroom went ballistic for headliners Passion Pit. The group opened with their ubiquitous hit “Take A Walk,” with frontman Michael Angelakos absolutely commanding the stage and truly one with his fans. The man wasn’t keen on the mass of photographers flanking his every move and even commented on it before launching into “Moth’s Wings.” The Crystal Ballroom marked yet another venue that desperately needed air conditioning, though the sweaty crowd found ways of cooling off by the handful of fans and water stations littered throughout the ballroom. Another surprise was just how much this festival has grown in only a year. In addition to the usual crazy nights of multi-venue shows, KEXP had daily sessions, and MFNW added a tech/start-up summit, PDX or the Portland Digital Experience. This meant shows were packed to the gills, causing this Owl and many fellow fans to miss out on the prolific Flying Lotus at Wonder Ballroom due to capacity crowds yet again. We eventually ended up downtown yet again, this time waiting at Dante’s for another packed set: King Khan and the Shrines. After waiting a good half hour to even enter the venue, this Owl made it in for the most electrifying set of the night, right as “Bite My Tongue” started up. As a venue, Dante’s is not for the faint of heart. Though the night before saw some pretty crazy punkers at the Roseland Theater, nothing compared to the minor fight and all-out brawl that ended King Khan and the Shrine’s encore, sending at least three people out of the venue and onto the street. With more and more folks wanting a piece of the MFNW pie, it’s a whole new ballgame for festgoers, it seems. Alas, onto day two!